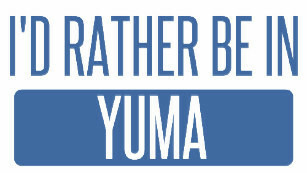 Home › Events › YUMA BABY!!! 52/67/78 out to Dudley's, down Banner Grade, and out the S2 Stagecoach Route! Gas up in Ocotillo, Lunch at Famous Dave's in El Centro! Then BLAST to make FREE Happy Hour!!! We will be grilling poolside again, $10(or so)/person. Sounds like we'll be hitting a Fun Center for Go Karts!!! Just call reservations & tell them you are with San Diego HOG for these rates. Get your reservations now! The reservation must be made by the end of March. There is another group there at the same time, so the twin queens are already booked.